Deserves MORE than 5 Stars☆☆☆☆☆!!! More Than Forever is book 4 in the More Series and it just keeps getting better!! 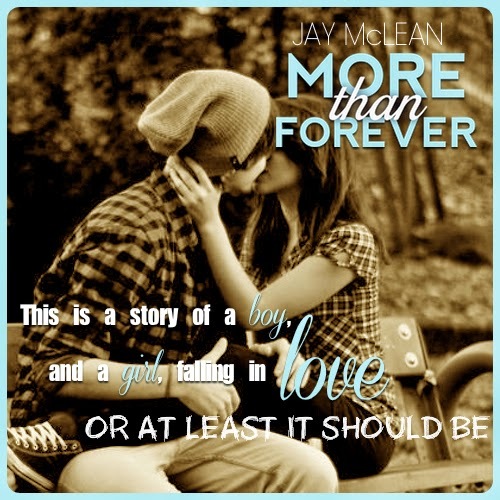 Like all the rest of the books by Jay McLean I seriously devoured this book in one sitting! 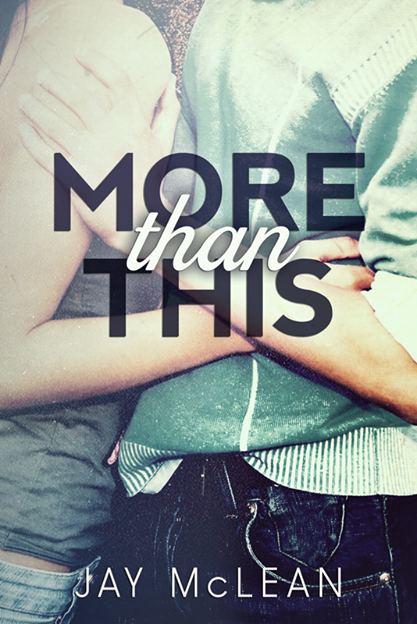 MTF is simply fanfreakingtastic, amazeballs, utterly delicious and an AHHHMAZING read, but we all knew it would be right? LOVE THIS SERIES! 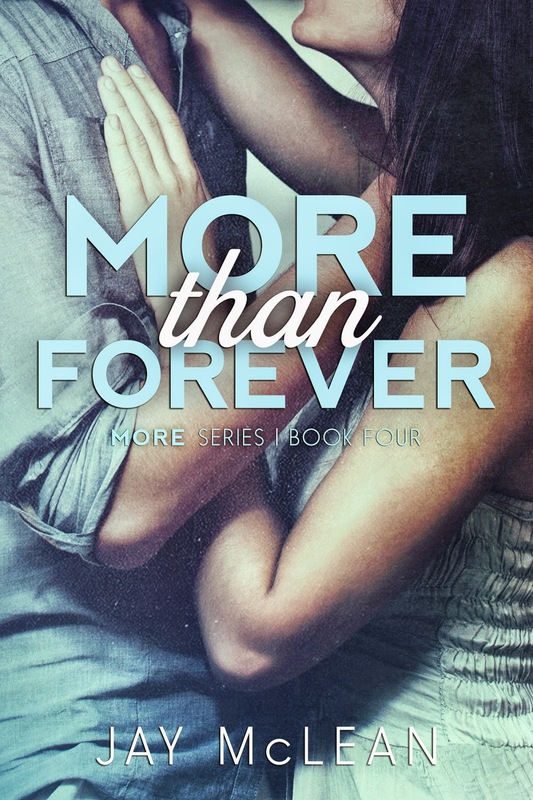 After reading More Than This with Jake and Mikaya, More Than Her and More Than Him which were Logan and Amanda’s books, I can honestly say I was MORE than Ready to read Cam and Lucy’s story. 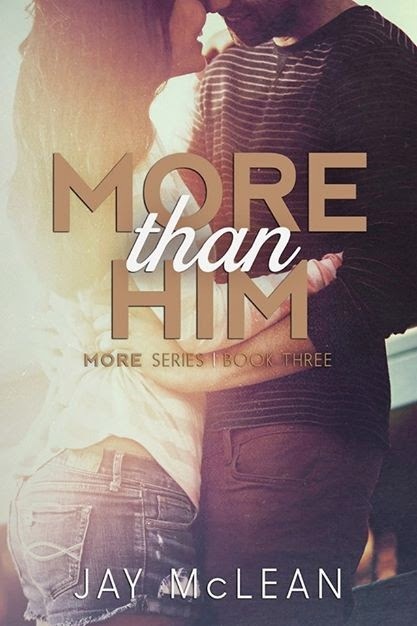 You met them throughout the first three More Books and you couldn’t help but want to know “More”. We all remember drunk Lucy, but this book oh my gawd, this book shows you who Lucy really is. Lucy doesn’t have it easy and my does this girl have A LOT of responsibilities that someone who is 15 just shouldn’t have. She is sad and “alone” in a sense. A girl who refused to admit she needed some help with some things, always using the famous “Im Fine” line, but Cam saw it and was relentless until she let him in. Once he was there, that is where he intended to stay. Cam is Lucy’s Savior so to speak, when Lucy falls Cam is right there to pick her up. You go through Cam and Lucy’s entire journey and I LOVE the other characters come in here and there because honestly in those scenes it takes you back to their books, all which were simply amazing! I love the banter that goes on between the entire group and it continues in this book! Prepare for the rollercoaster ride of your life. The ups and downs, twists and turns and that feeling you get just when you get ready to take that initial drop down the hill, you’re going to get it in this book. The love all her characters have at such a young age just goes to show, love doesn’t care how old you are. Once you find it, you find it. This book will have you laughing, your heart racing and in complete tears. 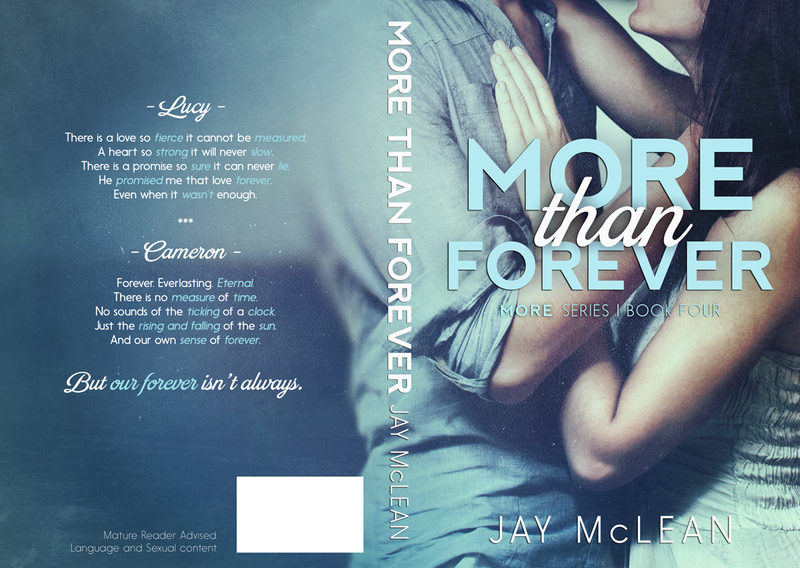 You will feel EVERY single ounce of emotion that Lucy and Cam feel in this book. Jay’s writing is simple but is not lacking one single thing. Like all her other books, the writing flows effortlessly. 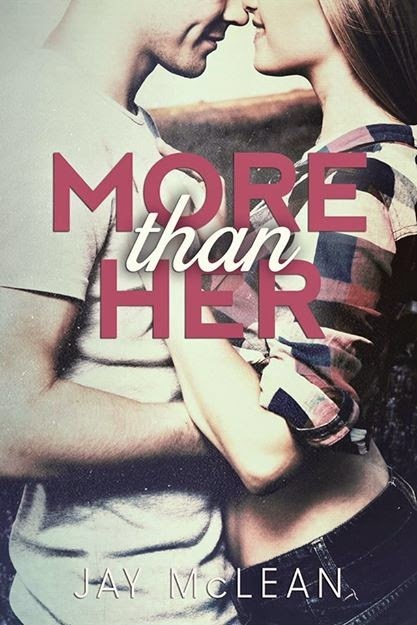 She has the perfect balance in this series and makes sure you want to continue flipping through the pages. I absolutely adore this entire series!! I would read it again and again in a heartbeat! Well done Jay and Congratulations on another success!! Mom says that there’s absolutely no pain worse than labor. I try to straighten, but it just makes the pain worse. feet. He looks up at me again, and I can see how sorry he really is. Standing to full height, I do my best to ignore the pain. “Nah,” Liam says, the laughter and amusement now gone. our town and if it did, I’d know. Everyone would know. 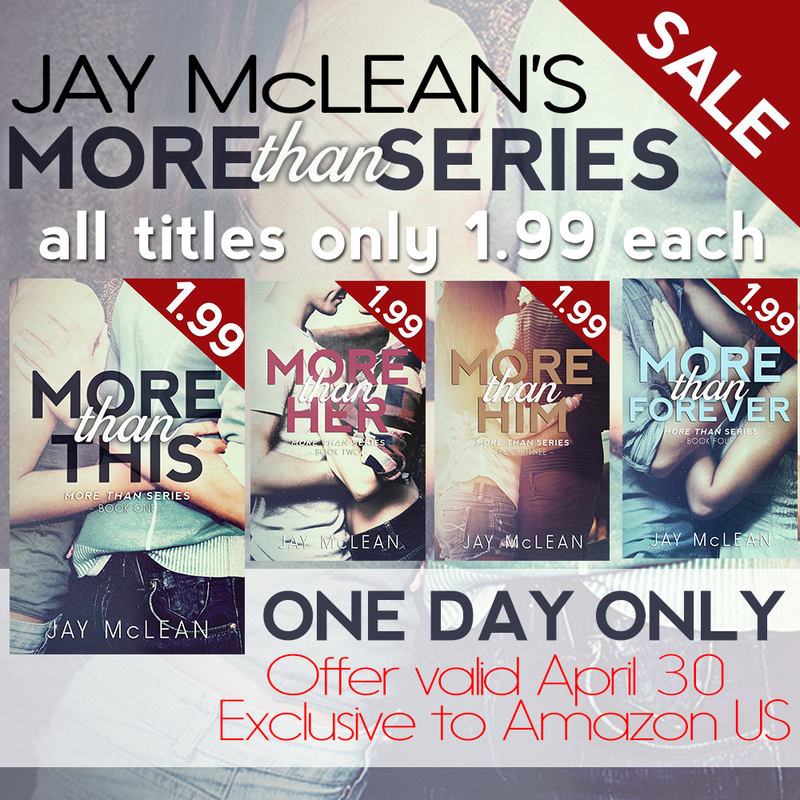 Jay McLean is the author of the More Series, including More Than This, More Than Her, More Than Him and soon to be released, More Than Forever. She also has two standalones coming soon titled The Road, and Combative. 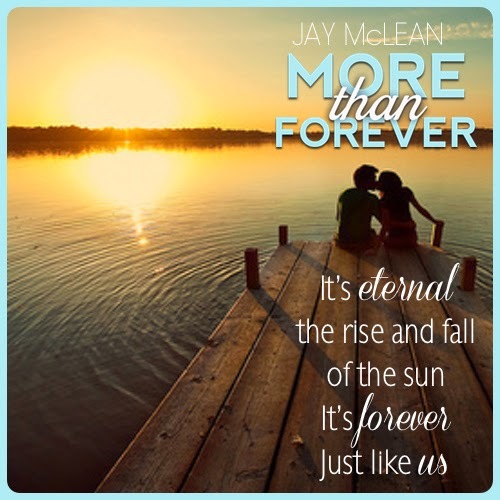 You can follow Jay on Instagram and twitter @jaymcleanauthor. 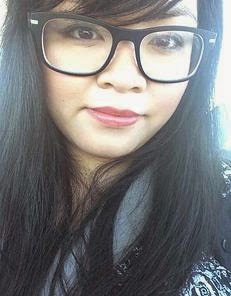 You can also find her on her blog where you can subscribe to her newsletter and get teasers and updates first hand, her Facebook or her fan group on Facebook or you can contact Jay directly.